"Looks great, guys! Mobile looks very nice as well! Thanks for all your hard work in getting it launched prior to Christmas. In today's technology-driven society, a website is often the first place an individual will turn for information. 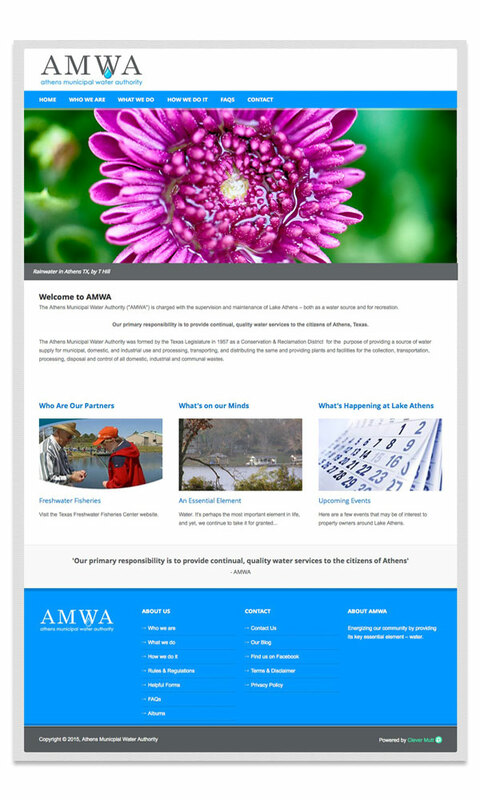 The Athens Municipal Water Authority couldn't leave that all important first impression up to just any web designers. Chris and Tiffani Hill and the staff at Clever Mutt™ were selected because of their professionalism, integrity, skills, and yes, cost effectiveness. I was honored to work with their direction to create an outstanding presence on the web for our company!" 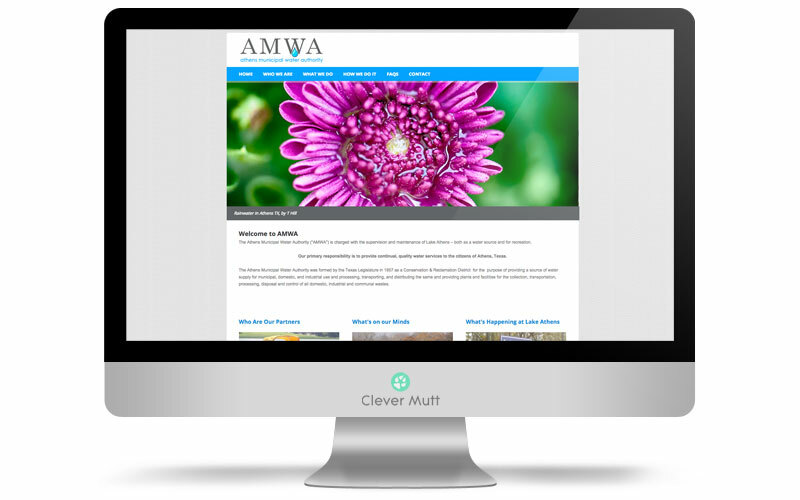 AMWA hired Clever Mutt™ for a fast turnaround on a brand new mobile responsive website, powered by the Clever Mutt™ Portal web CMS for ease of self-management. 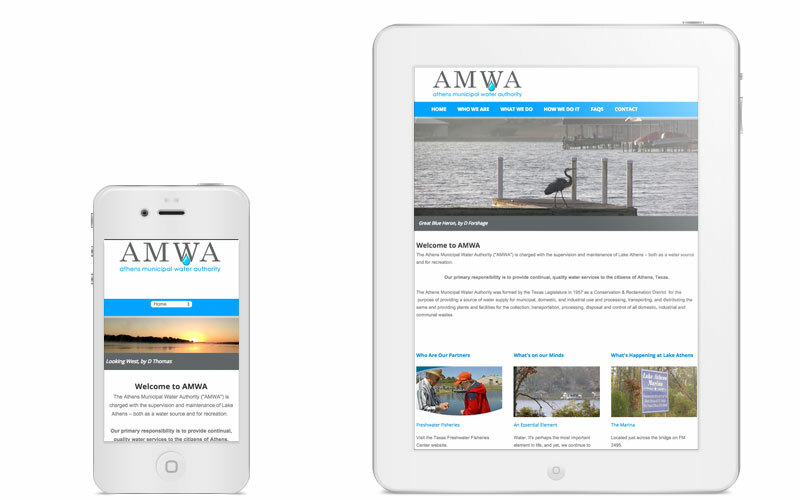 The Athens Municipal Water Authority (AMWA) was formed by the Texas Legislature in 1957 as a Conservation & Reclamation District for the purpose of providing a source of water supply for municipal, domestic, and industrial use and processing, transporting, and distributing the same and providing plants and facilities for the collection, transportation, processing, disposal and control of all domestic, industrial and communal wastes.